Stonecroft is a traditional style Yorkshire Dales cottage created from the Richard III inn's coach house; much of its stone would have been 'reclaimed' from the castle's ruins. 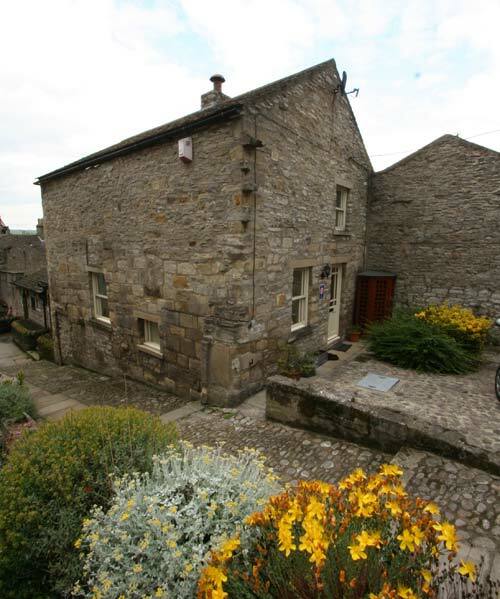 Stonecroft is quietly situated in a cobbled lane, just off the Market Square in the historic Wensleydale town of Middleham. The imposing Middleham castle is a short distance away and all the town's amenities are within a minute's walk. There is a regular bus service. The nearest railway station is 15 miles away in Northallerton. The major road route, the old Roman Great North Road (now the A1) is 12 miles to the east. 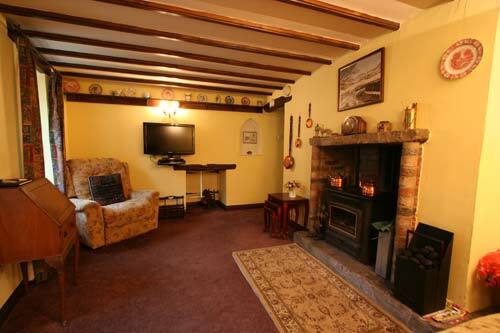 Renovated to a high standard, Stonecroft Cottage retains much character, including exposed beams in all rooms. The period oak furnishings and subtle concealed lighting have been carefully selected to make your stay cosy and comfortable. Complementary wi-fi and land-line telephone are included in the rent and one well behaved dog is welcome. Lounge, with flatscreen Freesat TV, blueray DVD and iPod/iPhone dock. A 3-seater recliner sofa and a rocker/recliner are just the job for lazing in comfort. Inglenook fireplace with multi fuel stove. 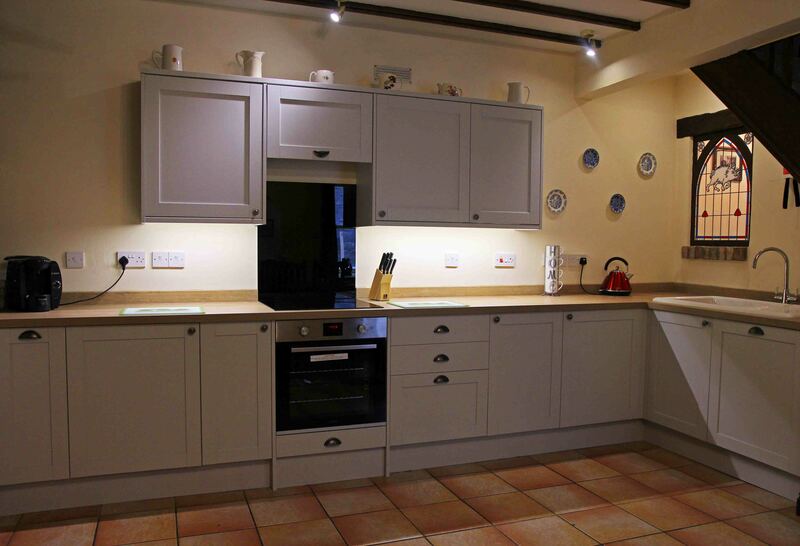 Spacious dining kitchen with cooker, microwave, fridge freezer, Tassimo coffee machine, washer and tumble dryer. One bedroom is particularly spacious with Dales views. Fully refurbished bathroom with shower/bath, heated towel radiator. Prices include all electricity and solid fuel. Central heating, if needed, is provided by a stove. A night storage heater maintains a comfortable, ambient temperature throughout the year. The water tank is heated by off-peak electricity. 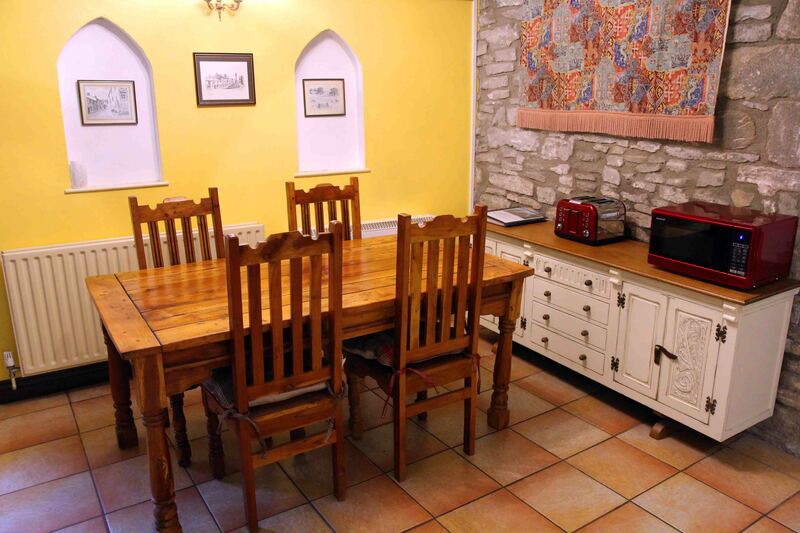 Outside, to the front of the cottage, there is private parking and a small, south-facing patio area with seating.